Kaylob Kobza and Lucas Thatcher sign their Letter of Intent to play football at Wesleyan University in Lincoln, Nebraska. Jacob Frenzen and Cody Thompson sign their Letter of Intent to play football at Midland University in Fremont, Nebraska. Congratulations! Nevaya Metcalfe signs her Letter of Intent to play softball at Central Community College. Congratulations Nevaya! Kassidy Soulliere signs her Letter of Intent to Play Softball at Central Community College. Congratulations Kassidy! Makenna Klug signed her Letter of Intent to play soccer at Doane University in Crete, Nebraska. Congratulations Makenna! Kaylea Bailey signs her Letter of Intent to play softball at Northeast Community College in Norfolk, Nebraska. Congratulations Kaylea! 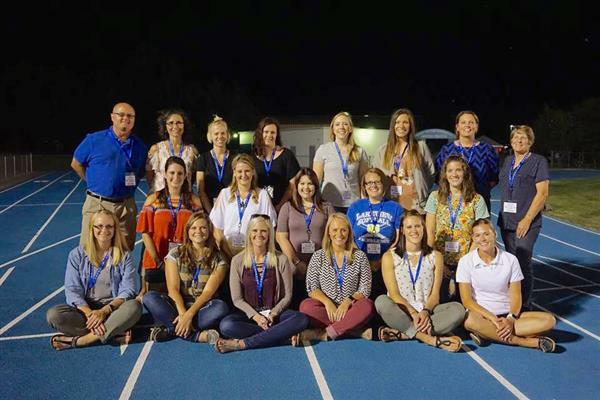 The Lakeview Athletic Hall of Fame committee is now accepting nominations. Nomination forms are available online and at the school office. Due date for nominations is April 1, each school year. A. Athlete: any high school athlete who participated in Lakeview athletics and proved to have superior performance and character. Any such person may not be considered until 10 years after high school graduation. B. Team: the Selection Committee each year shall elect a maximum of one team which competed at least 10 years prior to nomination. C. Coach: must have coached for Lakeview High School for a minimum of 5 years and proved to have superior performance and character. D. Contributor: those whose contributions to Lakeview athletics do not fall into the above-mentioned categories. This category could include teachers, administrators, boosters, fans, or someone who made a significant contribution to Lakeview athletics. Keep up to date with our sports schedules at our new site r-school TodayThis site is easy to navigate and is very user friendly.Online parent user guide. Cross Country Course Map and Directions.